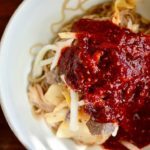 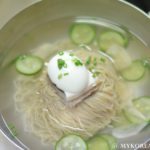 Naengmyeon 101: There are two basic varieties of naengmyeon that you need to know about: Pyongyang and Hamheung-style naengmyeon, both originating from our friendly neighbors from the North. 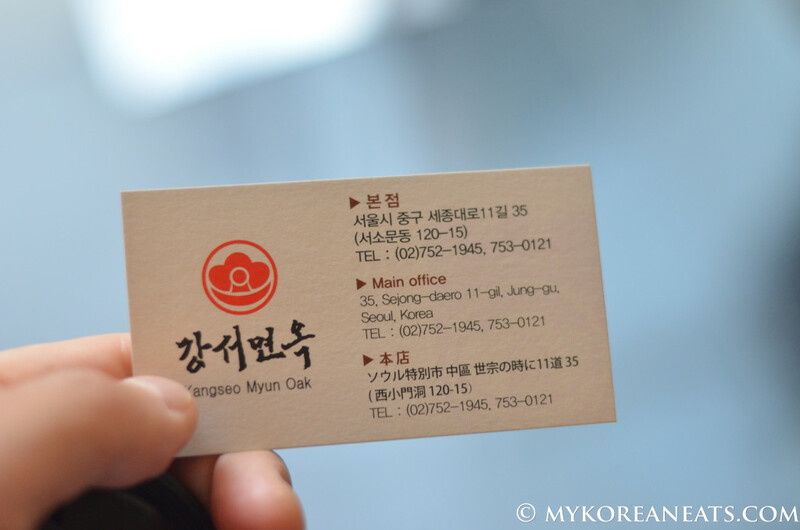 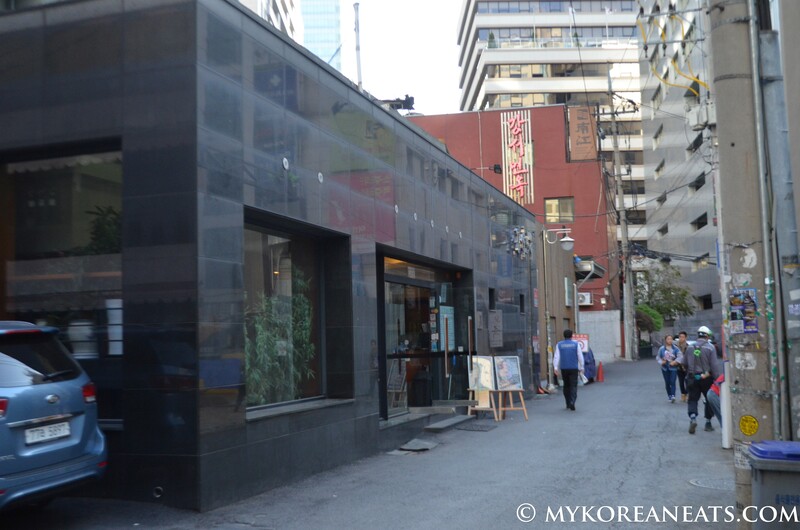 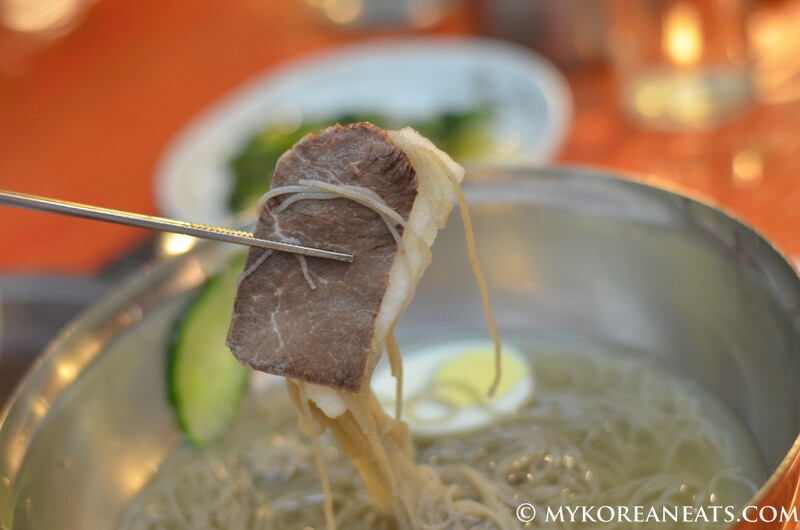 The key differences between Pyongyang and Hamheung are easily recognized by naengmyeon lovers, but for those who are new to Korean naengmyeon it can be a little confusing. 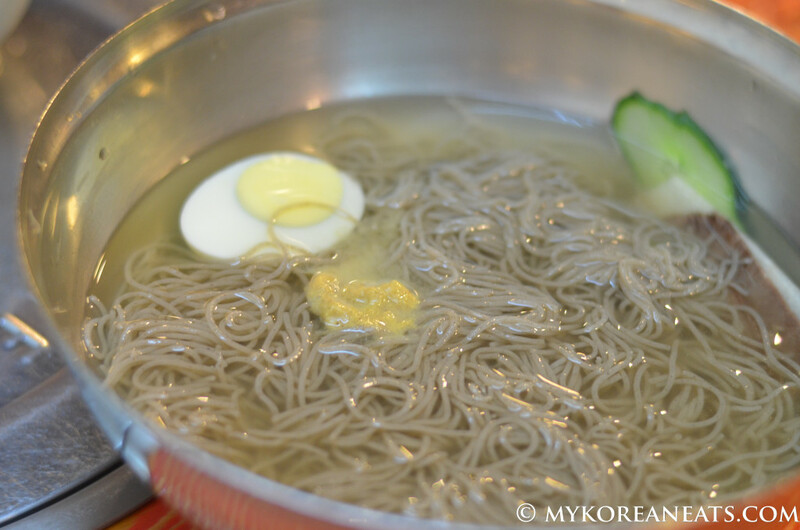 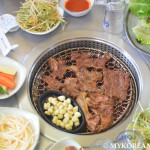 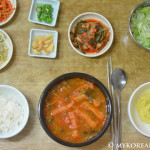 First off, Pyongyang-style naengmyeon primarily uses maemil 메밀 (buckwheat) for its noodles and then served as mul naengmyeon, literally translated “water cold noodles.” The buckwheat noodles have a softer texture (akin to Japanese soba) than its Hamheung counterpart since the latter uses different starches in its noodles, making for a chewier and firmer texture. 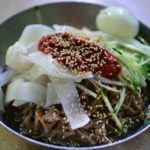 Hamheung naengmyeon is more likely to be served as bibim naengmyeon (“mixed cold noodles”) with spicy red pepper sauce and general toppings like strips of radish, cucumbers, and half a hard-boiled egg. 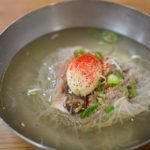 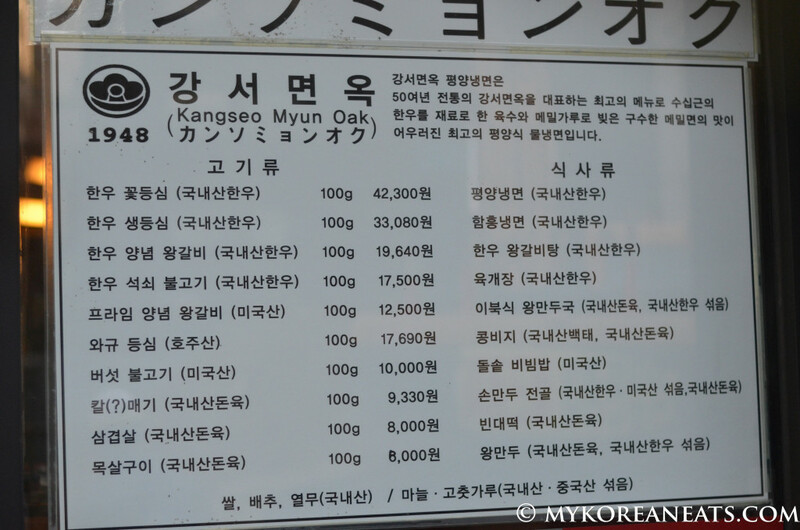 Most, if not all, naengmyeon restaurants will have spicy mustard sauce and vinegar available for diners to season the broth according to their preference. 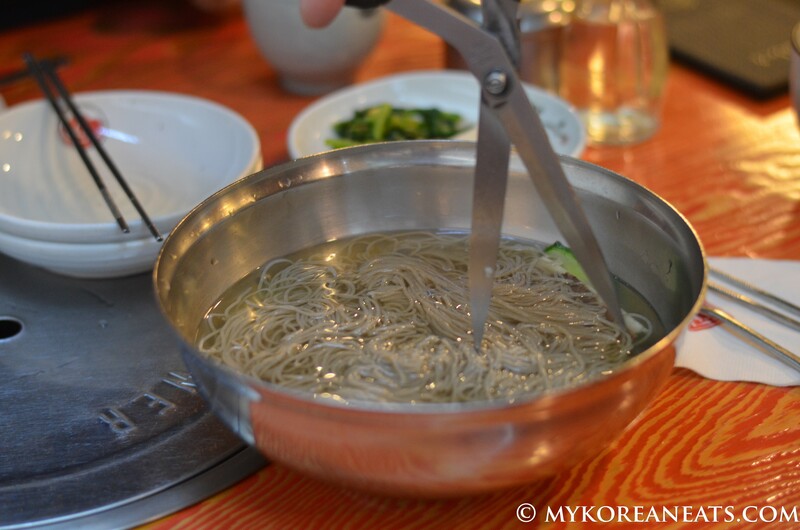 Lastly, the noodles will always be served uncut, as they symbolize longevity and good health, but servers will have scissors on hand if you need them cut (which I highly recommended).